Hi. 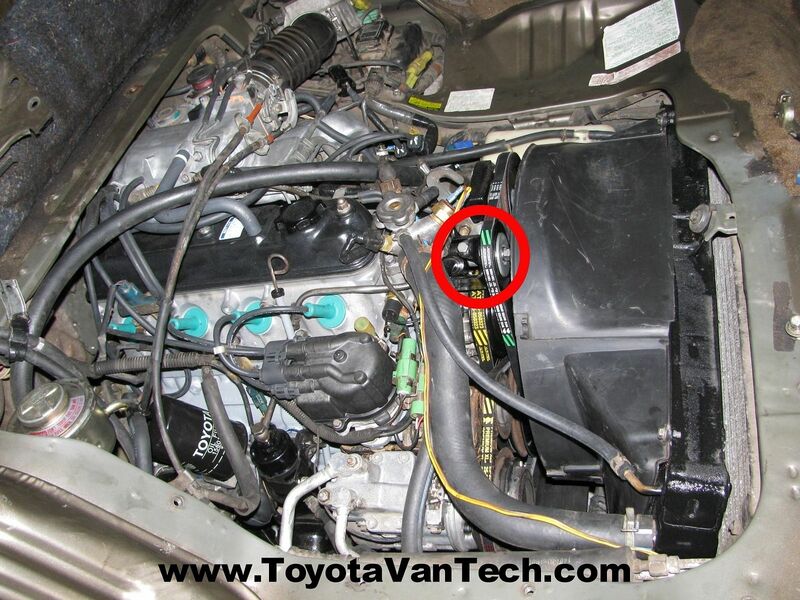 Hope you can help me out, I'm looking at a 1987 cargo van the current owner removed the power steering pump when a friend told him he didn't need it, the van is listed with that note and also the A/C doesn't work. I stopped to look the van over it has a bit of rust and the windshield needs to be replaced which is no big deal, but I noticed there is a belt missing where the PS pump was located does this belt also run the A/C, if so will I have to replace the PS pump, can I just get a smaller size belt to test it out or will I have to mount an idler pulley to test out the A/C. Also the engine sounds really good it has 170,000 on it just broken in. Thanks for any insight you may have. AC and PWR STR are 2 different belts running parallel to each other, no way to make one work off the other. Both have idler pullers which are notorious for failing but at least are easily replaced. If they deleted power steering it is most likely because the pump was leaking and it was easier to delete than spend the money to fix it properly. If you buy the van I would hook up belts to both systems, replace whats broken and live happily ever after. I read this thread, and look under the car and my AC compressor pulley perfectly lines up with my power steering pump belt. As if I got a larger belt it could run the compressor and the power steering. What am I missing here? There are only two pulleys on the crank: the flat belt and the v belt. 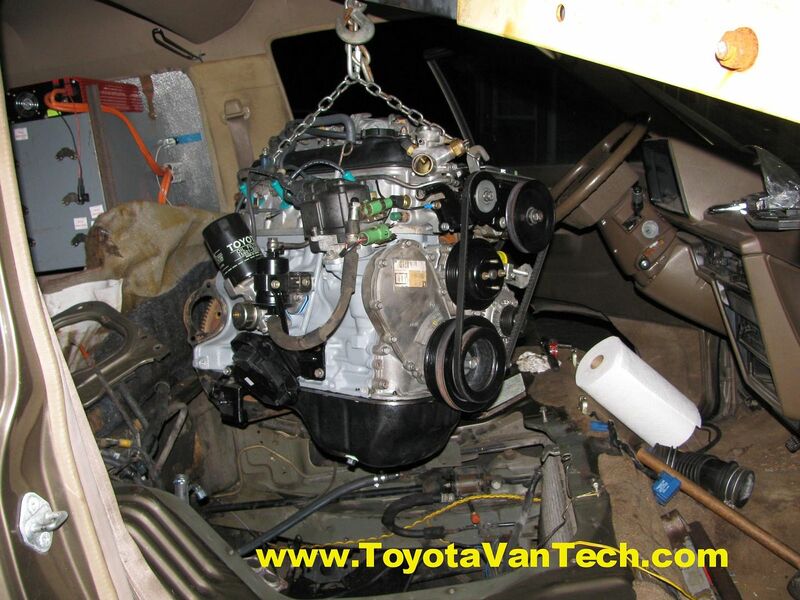 This van is a basket case project, so the parts came from here, and there, but the AC compressor was still connected to the car, tied back, and hopefully still charged. Nevermind! I found a photo of the pulley in another thread. My "AC" crank pulley is driving the power steering pump. There are not three pulleys so I suppose this engine came from a non-AC donor. Hi, I'm new here, but I just bought a 1986 cargo van and the previous owner drove without power steering because the belts kept snapping on him. The pulley system (the one that isn't the pump) is very tight and doesn't turn by hand easily. My question is, is this something that can be loosened to give it some play? And does anyone know the part # for the belt itself? This message has been deleted by beatnick. OK, so I got the new belt from Autozone. The problem is that it is too big for the pulley system, or I just can't figure out where the additional pulley is. All I see for the power steering system is two wheels. The other track I found is for the A/C system and that belt is also missing. I bought this van two weeks ago and I'll be honest, it's in rough shape. But the main issues to keep it going are the power steering system and from what I can tell, the ECU temp sensor. Due to what I could find on the forum with similar posts, its idle from cold start and even warm idle will kill it. I've found that it's either the ECU temp sensor or the Bimetal Vacuum Switching Valve. Does the power steering system only have the two pulley wheels? And what's the easiest way to loosen the ECU temp sensor with limited tools and not taking apart too many things? I have the idler pulley that is circled in your picture. What else does it run off of? I may be missing that part There is an area that the belt goes down further that I can't seem to find. Thanks Tim! That helps a great deal. And of course, another problem arose. Now it won't start. My guess this time would be fuel injectors having too much moisture or condensation. It'll try to turn over with nothing getting to the engine. Gotta love troubleshooting, right? I just looked this up in the EPC for you. Assuming it's the one for the power steering, it's Toyota part #44350-28011. The bad news is it was only used on Toyota vans and the Hilux, but the not so bad news is it was used on every van from 84 - 89. The really bad news is they think it's worth $293.93 . If available, some of those discount Toyota parts sites would sell for around $220, but IMO a part like this over $75 means "unavailable". I think your best bet is to find a used one somewhere. Salvage yards will sell parts like this for ~$15. Even if it has a bad bearing, these can be had on eBay for ~$5. Thank you SO much for the info! Not terribly surprised about the cost...Looks like I will be scavenging through some salvage yards in the Portland area (considering I'm pretty tight on $ at the moment). Would you recommend having a mechanic do this job? I'm worried about how much it might hurt my wallet... If possible, i'd like to do it myself but I assume the engine is probably gonna need to be taken out...thoughts? That is fantastic news!! I will definitely be doing this myself then...also i was able to locate the part on ebay for around $100. I might just go with that for the sake of time and convenience. I appreciate your advice very much! You have been a huge help. PS: I just noticed the eBay listing has ended. I hope you were able to get one. I have gone to McGuire bearing in Southeast Portland for a couple of the pulley bearings and they are cheap 5-10$(not Japanese or Swedish ) and have lasted a few years so far. Bring your old bearing in with you. Also I may have a spare bracket if you haven't already bought one or taken one off your neighbors Festiva! Sorry I'm a bit late to this party. Post in the wanted section may work sometimes.